Chaotic scenes in emergency warehouse hospitals during the 1918-20 Flu Pandemic. One of the problems we wrestle with is when we should bug out to our retreat. When does a Level 1 situation become a Level 2 situation, and when should our strategy shift from staying where we are, to abandoning city life and bugging out to our retreat? We’ve written about many aspects to do with bugging out and when we should do so before. A major concern when bugging out is to beat the rush of other people, all seeking to abandon the cities at the same time, such as to make safe efficient travel impossible. Talking about safe travel, we also wish to bug out before travel becomes actively dangerous, with modern-day highwaymen preying on distressed evacuees. A not so commonly stated concern, but surely one which must be of equal importance, is beating any travel restrictions that might be imposed on people by county, state and federal authorities. How likely is it that there would be travel restrictions imposed in an emergency? Although it would seem that the right to travel is a derivative right from the First Amendment’s right to peaceably assemble (ie anywhere), the reality may be different and there is no end of examples of our rights being trampled on, both in the normal course of day-to-day living, and of course, in special situations which the authorities seem to believe allow them to suspend the Constitution and its protections. 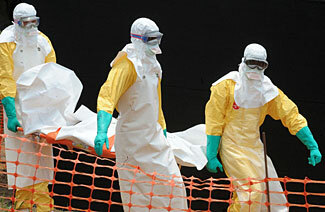 Of course, the reactions by the authorities will vary depending on the emergency, but a new research paper by three researchers at MIT would seem to encourage such travel restrictions, at least in the case of epidemics and other biological type emergencies. The study shows that even only a moderately contagious disease could see the rate of infection decrease by 50% if the authorities were to restrict where people could travel. That’s a strong argument in favor of imposing travel restrictions and you can be sure that it has been well received by the people who might wish to act in such a way in the future. One could even argue that in this particular case, restricting people’s freedom to travel as they wish and choose is a fair and appropriate thing to do for the greater good of everyone, but that’s not going to be very comforting to you, is it, when it prevents you from escaping a disease-ridden city and making it safely to your rural retreat! Restrictions on travel could be enacted very quickly and with no warning. A decree, possibly by state governors and almost certainly by the nation’s President, is all that would be required, and of course, the very nature of a travel restriction is that the authorities would not want to give any warning or allow a grace period, because that would encourage and accelerate people’s travel plans. We saw restrictions on travel and public assembly during the Spanish Flu pandemic of 1918-20, so the precedent is already in place. It is foreseeable, in any future disruptive emergency, that one of the first things the authorities will attempt to do is ‘freeze in place’ the current situation. That is understandable, because currently they have a reasonably accurate understanding of population distributions and therefore, the population based issues and needs and potential problems, and if people started moving every which where after an emergency, the authorities would fear they were becoming even less able to adequately and appropriately respond. It seems only too likely that the authorities will decide that so as to ‘better help us all’, the first thing they should do is limit and restrict our abilities to help ourselves. The bottom line to those of us with remote retreats? We need to move there at the first sign of problems. We talk about this need repeatedly in our series on bugging out, and if you were to read just a single one of our articles, perhaps it should be this one which talks about the difficulties we will have and the delays we will likely create in making the decision to bug out. 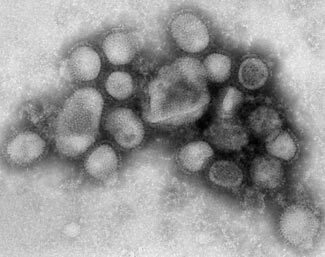 The H1N1 flu virus as seen through an electron microscope. Two things make our society massively more vulnerable to what we term bio-risks – anything from deliberately introduced lethal diseases to the results of random mutation of regular viruses and bacteria already in our environments. But to start with, here’s an interesting fact. Most diseases don’t like to kill too many people too fast, because they rely on living people for their own survival – as a host to live in, and as a means of passing on their offspring. If a disease kills too many people, too quickly, they end up harming themselves as well. So evolution tends to moderate the lethality of most diseases. Furthermore, in places where there are common diseases, the people develop some resistance to those diseases, meaning the people and the diseases can co-exist in a balanced situation. That is why we Americans have to take anti-malarial precautions when traveling somewhere rife with malaria for example, even though the local people are living quite comfortably alongside the malaria. But – and here’s the catch. Changes in our lifestyles have occurred faster than diseases can evolve to keep up with us. The two key changes, below, in particular mean that diseases that once posed moderate risks now can pose massively greater risks. In our modern world, if someone coughs onto a door handle, 100 people might touch that same door handle in less than an hour. If someone sneezes on a bus or train or plane, the germs carry instantly to 20 or 30 people within a dozen feet of them. When people lived in rural areas, what happened in one homestead or one small town rarely impacted much beyond that, because people weren’t crowded together for much of every day. A person would get sick, and stay at home, and their family would largely stay close around them, with only limited interactions with other households. And if they did travel somewhere, they’d probably be traveling by horse or open carriage, not infecting hundreds of fellow travelers as they did so. Non-farm employment was typically in small businesses rather than huge office complexes. There were no such things as shopping malls with thousands of people going in and out of them every day. The ability of a disease to pass from person to person, within a local area, was much more restricted than now. The ability of a disease to travel long-distance was even more constrained, 100 and 200 years ago. 100 years ago the fastest method of transportation was the train (at about 40 mph) or boat (less than 20 mph); and 200 years ago, it was the horse at perhaps 10 mph or a boat at 5 mph or less. In other words, infected people would simply die before they got too far out of their home area (or, perhaps, recover – either outcome meaning the disease was no longer being passed on). Today we have planes that can fly nonstop, halfway around the world, in less than a day. The person next to you on the bus might have just flown in from a far away country yesterday, bringing who knows what foreign disease with him. Or, in the airport, on your way from San Francisco to Chicago, you pass a person who has just landed from London, and who was seated next to someone from Ghana. He caught an infection from the Ghanaian (who continues to infect more people on his travels), and the man you met is now about to infect people in San Francisco, including you at the airport, and you’re about to now go to Chicago and continue the spread of the disease, infecting someone on your flight to Chicago who travels on to New York, and so on and so on. Give it a day or two, and the disease is everywhere that has an airport. It isn’t just people who travel. So too do things. Much of the food you eat has come from hundreds or thousands of miles away. As we sometimes find out to our cost, contaminated meat from one packing plant can impact on people all across the country. Unwashed lettuce containing a dangerous hazard might start its journey in another country, and fan out all across the country, infecting people semi-randomly across the US. A crate packed full of clothing made in South East Asian and airfreighted here might also have one or two dangerous disease bearing insects that escape into the greater Los Angeles area upon arrival at LAX. In the past, people obviously didn’t travel as much, and they also traveled more slowly, meaning that by the time they came down with a disease, they had not had a chance to get far from home, limiting the disease’s spread accordingly. To return to our earlier malaria example, 100 and 200 years ago, malaria was not a problem outside its prime areas of existence, because people and mosquitos with the disease didn’t travel far away from the prime malarial regions. But today, a mosquito or a person can be in one part of the world in the morning, and many thousands of miles away by the evening. Diseases which are not crippling risks to the local acclimated population can become lethal when suddenly introduced to a different population with no built-in resistance. Some credible studies have suggested that our clean healthy lives are actually weakening our immune systems. When children used to literally eat worms and dirt at the bottom of their garden, when food wasn’t always thoroughly cooked or safely stored, when children would regularly fall over and get cuts and scrapes, people exercised their immune systems and built up a more resilient and healthy system in general. Exercise, healthy living and healthy food with fewer chemicals and additives all helped too. Today we have so cocooned ourselves in cleanliness that trivial infections can become more serious. But – not to worry, because we nowadays have sophisticated antibiotics to protect us from most bacterial infections, right? Alas, no. Doctors are colossally over-prescribing antibiotics, partially due to pressure from anxious patients (and their anxious parents) and are sometimes now prescribing them even for non-bacterial infections, even though they are useless for such things. Why do doctors do this? Two reasons. First, liability. They reason ‘Well, the illness is probably not bacterial, but maybe it could be, or maybe there will be a secondary infection that might arise, and if I don’t prescribe the antibiotic, I might subsequently be sued; it costs me nothing to write the prescription, so why not’. Second, in response to pressure from their patients. Few doctors develop the close relationship that family doctors formerly had with their patients. They have become the slaves of their productivity studies; they don’t even have their own friendly warm consulting room. Instead, they flit from room to room, where their patient is waiting for them, already having been prepared, vital signs checked, history recorded, by nurses and nurse-assistants. Rather than asking the patient what the problem is, and chatting with them to elicit more information and to relax and build a rapport and trust while doing things such as taking temperature and blood pressure, they read the notes in the computer, then start diagnosing and prescribing almost without interacting with the patient at all. The former 20+ minute patient visit is now more like 5 minutes. So in their rush to complete their consultation, it is easy to accede to a patient request, and there is always the hope that the placebo effect may assist the patient, even if the antibiotic itself doesn’t. The next part of this problem is that patients often don’t take the antibiotic as directed. As soon as they start to feel better, they stop taking the antibiotic, particularly if the antibiotic has or threatens to have any type of side effects. This is a very dangerous thing to do, because at this point there are still some bacteria in the patient – hardy bacteria who are slower to die from the antibiotic. If the poisonous antibiotic stops attacking them, these resistant bacteria recover, and become more resistant for next time and next time. Furthermore, there are so many antibiotics being prescribed – and for animals as well as people (not because the animals are sick, but to make them grow faster) – that much of the water and ground is now contaminated with low levels of antibiotics, which allow for bacteria to become acclimated to the antibiotics and develop resistance to them. The result is the appearance of increasingly resistant bacteria. Here is a terrifying article about the latest developments in antibiotic resistant bacteria. Read it and be definitely afraid. How Many Times Can We Win at Russian Roulette? Remember SARS? Swine Flu? Bird Flu? These – and many other viruses that don’t get such prominent news billing – all credibly threatened to become global pandemics. In each case, the threat did not become a reality, but it was not due to any particular clever/appropriate response by society. It was due to good luck and the viruses being not quite as lethal/infectious as initially thought. But the viruses continue to mutate. The good thing about mutations is that 98% or more of all mutations create weaker rather than stronger viruses. But some small percentage of mutations create more lethal and/or more infectious viruses. With our society the way it is now, the conditions are ideal for a lethal infectious virus to spread like wildfire, across the entire world. It doesn’t only have to be an influenza type virus. It could as likely be an antibiotic resistant bacteria. Good luck has meant this has not happened to date, but as soon as our lucky streak ends, we will be in for a life-changing event. 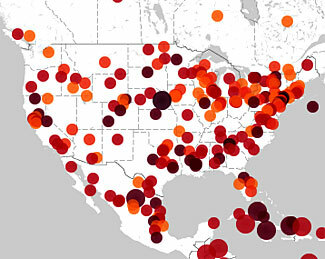 Our vulnerability today in the event of a pandemic is much greater than ever before. 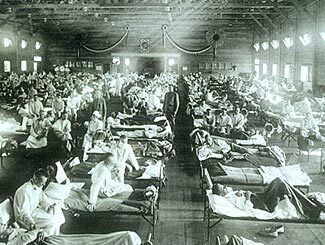 The last major pandemic was the Spanish Flu of 1918-1919. Back then, continents were linked by slow ship rather than fast plane, and only about one person in five lived in a city. Most of the population were in low density rural areas, and each city dweller (who did not make his own food) had as many as five rural residents who could make food for him. Life, back then, was ‘low intensity’. Electricity was a convenience, but not integrated into every part of our lives. Wireless radios were just starting to come out. Television didn’t exist (and at the risk of amazing our younger readers, neither did the internet, either). In this low intensity world, it is estimated that 25% of the US population came down with the Spanish flu, and 10% of those who caught the flu died from it. What would the numbers be like today, in our much higher intensity world? 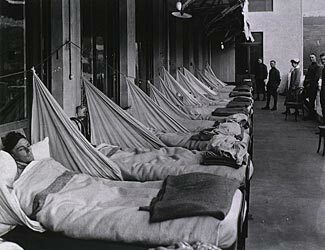 Initially, governments were slow to acknowledge the Spanish flu and the danger it posed, and preferred to refer to the pandemic as ‘only the flu’ so as to prevent panic. But, whether ‘only the flu’, or not, social disruptions became increasingly extreme. Restrictions were placed on public gatherings (including funerals and even store sales) and on travel. In San Francisco and San Diego it became compulsory to wear gauze masks in public, and one town made shaking hands illegal. Desperate shortages of health care professionals existed, and similar shortages affected other service industries – in some cities, there were not enough phone operators to allow for normal phone service. There were also shortages of coffins, morticians and grave-diggers, such that mass graves were dug by steam shovel and dead bodies buried en masse. To put the impact of this flu outbreak in another context, 25 million people have died of AIDS in the first 25 years of this disease. In comparison, 25 million people died of flu (in a world with a much smaller population) in 25 weeks (many more died in total, over a longer period). Now think about what would happen today. And instead of a shortage of phone operators, maybe there’ll be a shortage of public works employees. We might lose our water or our power or our sewer services. These days we have many fewer hospital beds than we had then, because people spend much less time in hospitals, and fewer healthcare workers in general. We have less ‘surge capacity’ to accommodate a massive outbreak of anything – we don’t have the hospital beds, or the hospital space of any type, or the healthcare workers, or the medical supplies needed to manage a sudden outbreak affecting maybe 50 – 100 million Americans. And those restrictions on public gatherings and store sales? What happens if you can’t go to buy more food for a week? For that matter, what happens if 25% of the people who deliver food to the stores are off sick, and 25% of the people who prepare the food are also off sick, and so on? Does a 25% reduction in manpower mean a 25% reduction in services, or a lesser amount – or, perhaps, a much greater amount? Does a 25% reduction in police mean a 25% rise in crime, or a doubling in crime? Here is an excellent three-part article series about our vulnerability to pandemics and what to expect and do. The other new dimension of our ugly world today is the potential for terrorists to release some form of bio-attack into our communities. Anthrax, botulism, or any of dozens of less well-known but equally deadly evils could be seeded into a small part of our country and then be quickly spread around the country by unknowingly infected individuals. By the time the authorities worked out what was happening, and decided on what to do about it, much of the country would already be compromised. There comes a point when the concept of quarantining no longer makes sense, because most of the country would have to be in the quarantine zone! Unfortunately, all the amazing new tools and knowledge of geneticists and biotechnologists can be used for evil as well as for good. The totally lax security concerns of researchers who develop dangerous strains of germs and who like to share them with each other, while making good sense in a benevolent world and enhancing the sharing of knowledge and research, are incredibly dangerous and alarming when one of the people receiving the shared knowledge and the lethal research strain of some bug is someone keen to use the knowledge for evil rather than honorable purposes. Creating and inserting pandemic-causing diseases into our society is dismayingly easy, and does not require nearly the degree of technology and visible infrastructure that is required for developing or delivering nuclear weapons. In terms of duration, a pandemic will probably be a Level 2 event. The Spanish flu attacked the US in three major waves, spanning a good twelve months. This was in part due to the movement of troops from Europe back to the US at the end of World War 1, and in part just due to natural factors. New pandemics will spread at a faster rate, for sure, and might therefore last less time in total (but also might extend on at least as long). The impact on society is unclear, and may be mild or might be severe – in other words, can you survive in place, or do you need to bug out to your retreat? The end of the epidemic will occur when one of two things occurs. 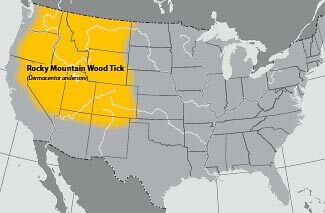 One possibility is when population densities have reduced to a point where it is no longer being readily transmitted, and where the remaining people will either be survivors who now have immunity after their earlier infection, or naturally resistant people who are not susceptible to the disease to start with. The other possibility is that our medical scientists will come up with a vaccination or cure for the ailment, enabling people to quickly terminate any infection. This is the medical equivalent of a ‘Hail Mary’ pass, however. The lead-times required to first come up with a solution to a new threat, and then to develop enough of the drug that resolves the problem, could be way over a year or more. Needless to say, it would be very nice to have the option to bug out if possible when confronted by a pandemic. It is a bit harder to decide when you should do this, though – on the other hand, the good news is that the lack of an obvious defining event means that the entire population of your city region won’t all take to the freeways to evacuate the city simultaneously. Clearly, you need to keep appraised of the latest bio-risks and the Pandemic ratings given by WHO and CDC to any new threats. At some point prior to being surrounded by a pandemic and probably infected yourself, you’ll need to shut off contact with the outside world and let the pandemic pass you by. If there is no threat of social disorder, it probably makes sense to stay where you are. But if the threat of social disorder starts to increase, and if your normal residence starts to lose essential services such as water and power, then you might want to consider making an orderly departure and moving to your retreat. During the period of ambiguity as to if an outbreak will become a pandemic or not, you’ll want to become very careful at controlling your exposure to germs. Washing your hands becomes essential prior to any potential transfer of germs from anything to your hands and then on to anything that could end up in your mouth or nose or eyes. And gently reducing the time you spend in concentrated crowds of other people is a good thing to do, too.